In January, TCPL Packaging threw the switch on a new Rapida 106 at its plant in Goa in Western India. The 7-color press with coater and extended delivery is already the seventh Rapida 106 sheetfed offset press from Koenig & Bauer to be installed at the company’s various production locations since 2011. Like all the other Rapidas operated by the packaging specialist, it is configured to enable both conventional and UV printing. TCPL Packaging is one of the largest packaging printers in the country. In Goa alone, 280 of the company’s 1,250 employees print mainly food and pharmaceuticals packaging at a plant with production floor space totally 28,000 square metres. With this latest Rapida 106, Koenig & Bauer press technology is now in use at all four TCPL locations. Apart from Goa, TCPL also has plants in Silvassa, Haridwar and Guwahti. The Financial Times named TCPL Packaging as one of the 1,000 fastest-growing companies in the Asian-Pacific region, assigning it to 839th place in this ranking. 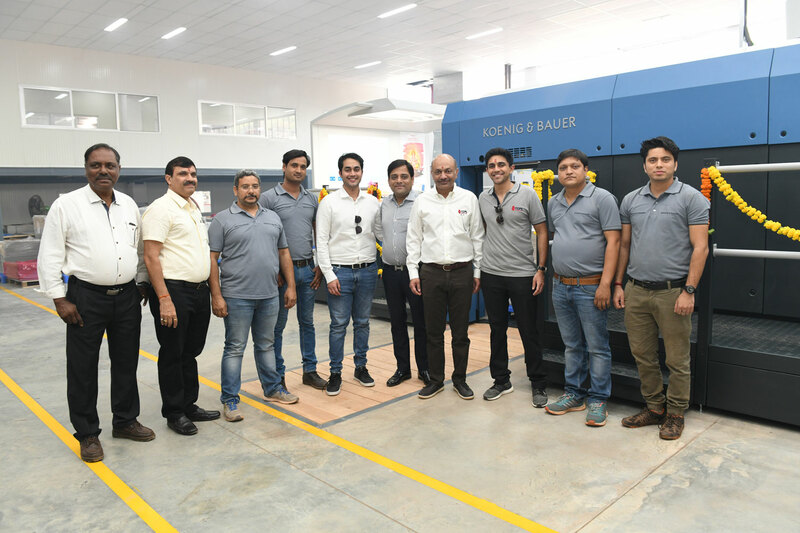 And the company has no intention of slowing its course of continued growth: Three more Rapida 106 presses are to be installed at TCPL this year. The first will be arriving at the Haridwar plant in May, while the second is set for installation in Goa in the summer. The installation of the third press in Silvassa is scheduled for the end of the year. One of the three is also the longest Rapida in India to date, with a total of 12 printing and finishing units. The configuration comprises seven colours followed by a coater, two dryer towers, a further printing unit and coater, and an extended delivery. Once all these presses are in place, TCPL will possess ten high-end Rapida presses with a total of 85 printing units. TCPL Packaging is a proud winner of the Marico Best Innovation Award and the Phillip Morris Most Valued Partner Award, among others. The Packman is a leading information supplier for and about the Indian and international packaging industry. Working across web, print and e-magazine, newsletter and social media platforms, we deliver daily packaging news, original commentary, analysis, case studies and videos.